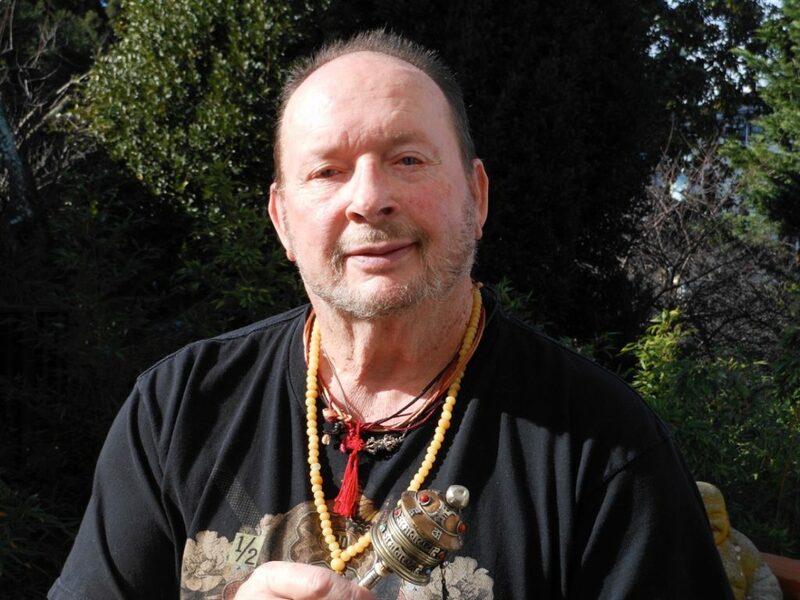 Latif William Harris — post-Beat poet, seeker and Bodhisattva of Browser Books — passed away on October 15 in Watsonville, California. He was 76 years old. 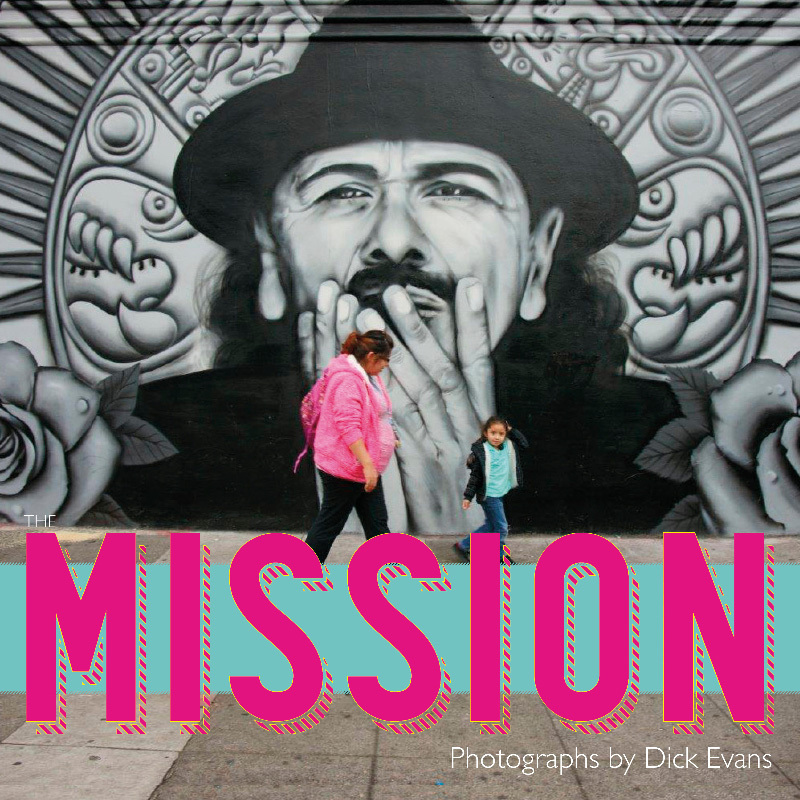 On the front cover of my new documentary photography book, The Mission, a young Latino mother and her daughter are pictured walking in front of a striking black and white mural of Carlos Santana. Santana — born in Jalisco, Mexico, but raised in the city’s Mission District — also has a strong connection to the Fillmore neighborhood. 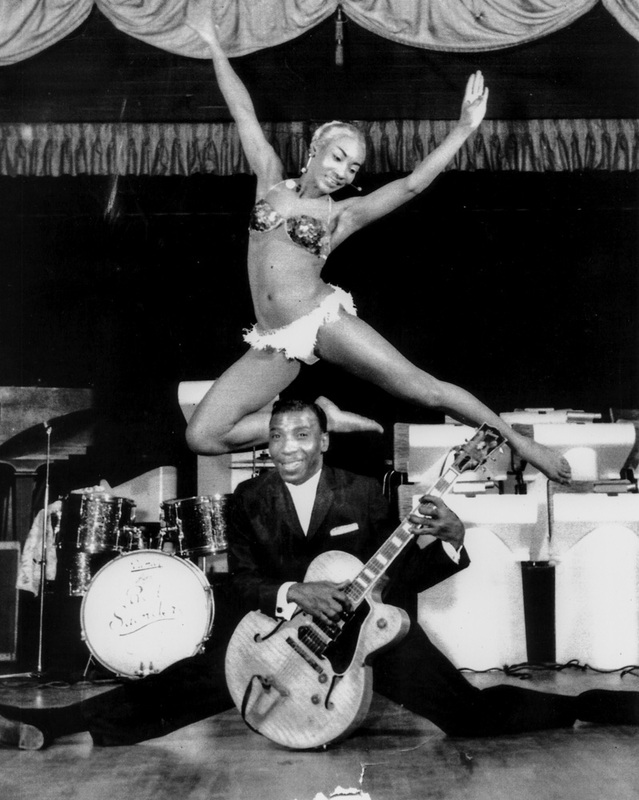 He got his first big break from Bill Graham at the Fillmore Auditorium in 1966. For a time his studio was on Fillmore next door to the Clay Theatre. Those early years in the Fillmore launched him to international fame and iconic status that merits his bigger-than-life portrait by muralist Mel Waters at 19th and Mission Streets, only four blocks from where Santana attended high school. My own interest in San Francisco, and especially in photographing it, had a decidedly different history. I was born on a ranch in western Oregon. It did not take many winters of feeding cattle at 5 a.m. for me to decide to go to college. 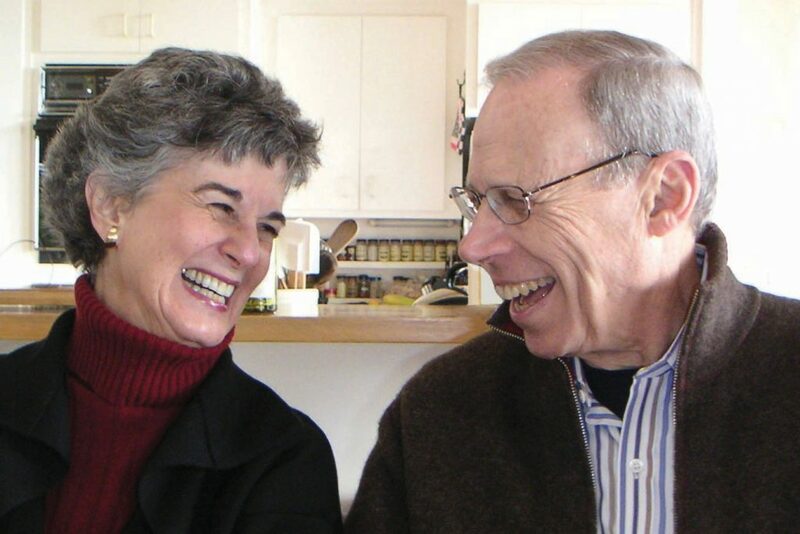 That led to engineering at Oregon State University and a 48-year career in the global aluminum industry, the final years as ceo of Alcan with 75,000 employees in 63 countries. Photography became an appealing medium to record my ceaseless travels. Walking down Fillmore Street, I often run into people who have lived here for a while, most of whom know me from my many years here. We’ll chat about the Giants and the weather and then they’ll ask, “How’s the writing going?” Anyone who has spent any time around me knows that I am a writer. David Johnson’s photograph of the Melrose Record Shop in 1947 — or is it? AFTER BEING out of print for more than seven years, a new and expanded second edition of Harlem of the West — along with a companion website and exhibition — will be unveiled at the end of the month. 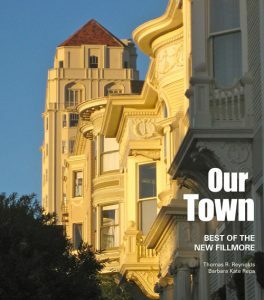 The photo and history book celebrating Fillmore’s jazz era in the 1940s and ’50s was originally published by Chronicle Books in 2006 and captured a pivotal moment in neighborhood history. 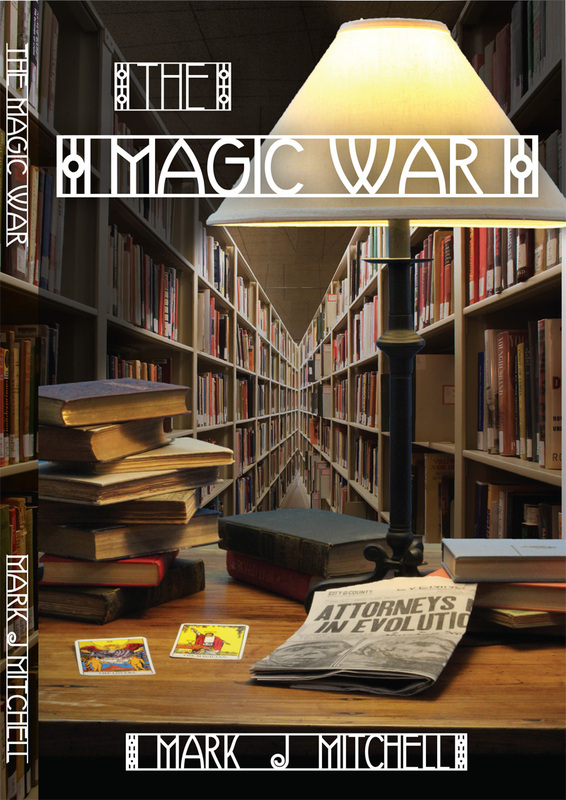 It has been out of print since 2010, despite continuing demand. 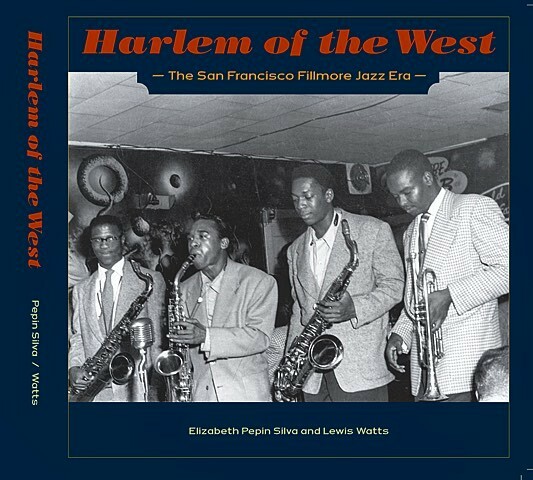 Eventually authors Elizabeth Pepin Silva and Lewis Watts decided to launch the Harlem of the West Project to update and expand the book. 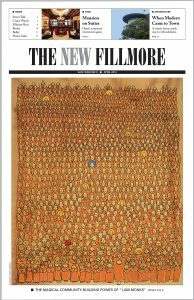 They added newly discovered photographs and memorabilia, as well as additional interviews with those who lived and played in the Fillmore during its glory days. The new book has a larger format and contains nearly 100 more pages and 200 rare images, many of them previously unpublished. It includes new firsthand accounts from musicians, nightclub patrons and former residents of the Fillmore when it was the city’s premier black neighborhood. 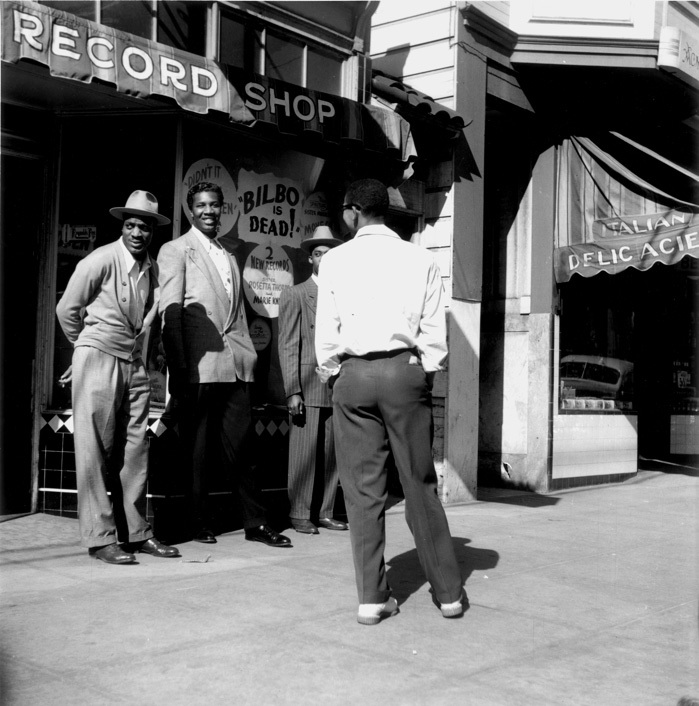 Among the new discoveries: A widely published photograph of the Melrose Record Shop at 1226 Fillmore — where author Maya Angelou worked as a youngster when she was known as Marguerite Johnson — was instead a photograph of Rhythm Records at 1980 Sutter, also owned by David Rosenbaum, next door to the Homestead Ravioli Factory at 1970 Sutter and just down the block from Jack’s Tavern. Harlem of the West: The San Francisco Fillmore Jazz Era will be released on April 29 at a celebration from 3 to 7 p.m. at the African American Art & Culture Complex at 762 Fulton. 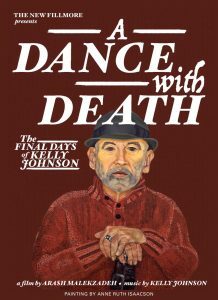 An exhibition continues there through June 1. 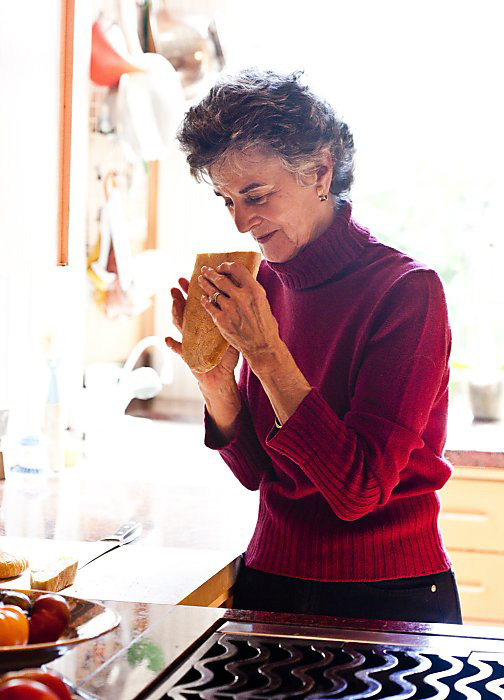 Carol Field at home in her kitchen on Washington Street. My introduction to Carol Field came in the spring of 1997, in the weeks preceding the release party for her book In Nonna’s Kitchen. 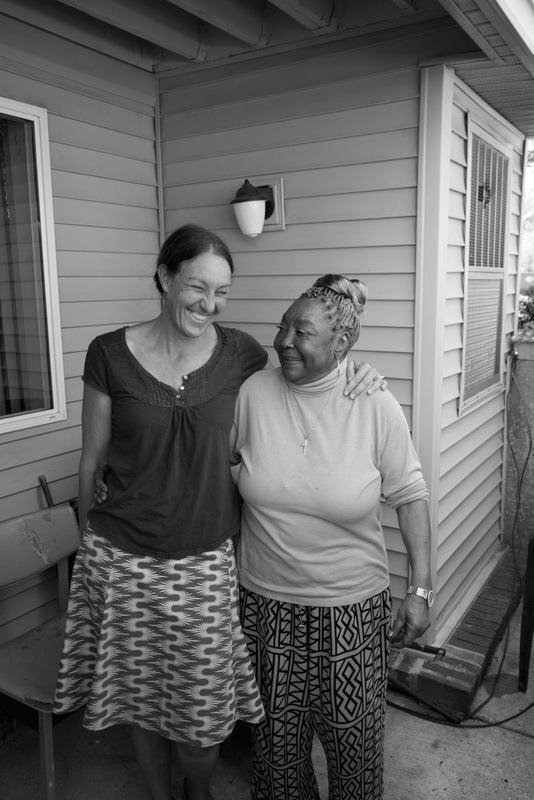 An informal dinner was planned with dishes from the book, which was at least one part investigative journalism into the secrets and traditions of Italian grandmothers. The dinner was to be held at Vivande Ristorante in Opera Plaza, and all of us cooks were to page through the house copy of In Nonna’s Kitchen and select recipes that spoke to us. I chose Tuscan Chicken Liver Pâté (Crostini di Fegatini), which was a bewitching concoction of soft-cooked onions, capers, anchovies and chicken livers, all moistened with Vin Santo. I remember testing a batch. My coworker peered into my pot, squinched up his face and declared: “That’s everything I hate all mixed together.” I disagreed. But livers, like anchovies, will forever fall firmly into two dividing camps: those who think it must be an acquired taste and those, like me, who insist it is instead a required taste. It remains one of my favorite ways to prepare chicken livers, though difficult to talk about without causing some kind of reaction. Fred Martin has worked at Browser Books on Fillmore for 36 of its 40 years. “LOVE WAS IN THE AIR,” says Fred Martin of the days when he and Browser Books were both young. And on many nights, it still is. And sometimes more. Many lasting connections have been made in Browser Books: couples on dates uncovering mutual interests, spouses returning to a favorite haunt, chance meetings that grow into romance. The store is filled with love stories — from the stacks of Neruda that sell out on Valentine’s Day, to Romeo and Juliet on high school reading lists, and the middle-aged professional proudly unembarrassed to ask for Fifty Shades of Grey. Browser Books opened in 1976 a block north next door to the Clay Theatre. “It was a real artist hangout,” says Martin. 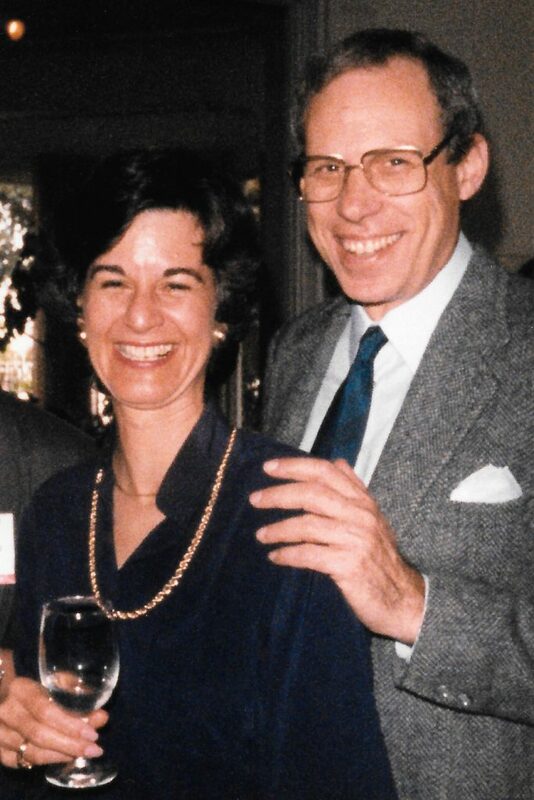 He recalls a couple who met in the old store and got married under the avocado tree in the garden out back, near the fountain with a sculpture of brass instruments. Just recently they stopped by, back in town from Oregon, and talked about moving back. In 1989 Browser gave up used books and moved south to its smaller current location. The Beat poet Latif Harris worked at the old Browser for a time and lived upstairs above the shop. He met his wife when she came browsing into the store one day. Fred Martin also met his spouse there. And so have others. Browser Books, a neighborhood fixture since 1976, has no doubt sparked countless anonymous instances of romance. The store’s staff, however, has been especially susceptible to this phenomenon. Perhaps it’s because we spend so much time in the store — or perhaps it’s because there’s just something a little different about the kind of person who chooses to work in a bookstore. 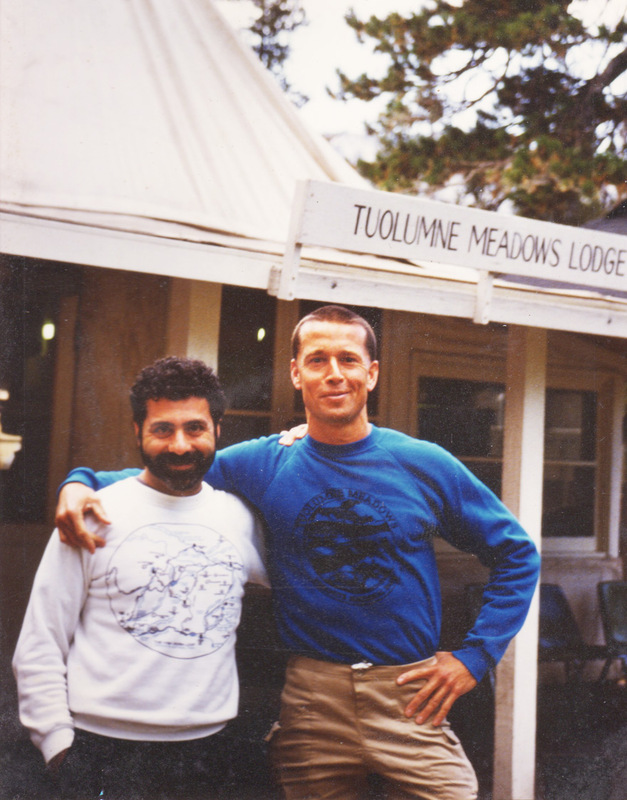 Fred Martin (right) and William Weber in 1988 in their beloved Yosemite National Park. It was 1981, back in the funky, colorful days of the neighborhood, when Browser Books was still in its old location next to the Clay Theatre. I had been at the store less than a year, working nights mostly, when I met William Weber, a psychiatrist with an office nearby. William was taking some free time between appointments one day to browse the bookstore in the company of a woman friend, a flamboyant personality from Texas. William — from Yazoo City, Mississippi — was less flamboyant, but seductive, with his big brown eyes and that low bedroom voice.